I'm not absolutely positive, but I think "Godspell" may just be the first professional musical I ever saw on stage. I know I saw it in Chicago in approximately 1972, with a cast that included Joe Mantegna as Judas and Richard Gilliland as Jesus. You may remember Gilliland from a slew of appearances on episodic TV in the 80s and 90s, including a guest stint on "Designing Women," where he met his wife, actress Jean Smart. He was great as Jesus and definitely made an impression on me as a 16-year-old. I have to confess, I don't remember Mantegna's performance. Judas wasn't as cool as Jesus in those days, apparently. But I do have a soft spot for "Godspell," with its sweet, bright Stephen Schwartz score and earnest book by John-Michael Tebelak. The pieced-together, hippy-lite costumes and pop Jesus Freak* stylings that fueled "Godspell" made it seem fresh, youthful and fun. 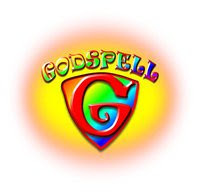 The plot of "Godspell" covers familiar territory, moving from John the Baptist to the Crucifixion, telling a few parables from the Gospels of Matthew and Luke along the way, all accentuated by modern pop songs with lyrics taken right from the hymnal. "Day by Day," the simple song about trying to lead a life closer to God, became a Top 40 hit after the film version of "Godspell." I'm curious how a show that seems so deeply rooted in the 70s will play in the new millennium, and how Vale Community Church and its Vale Community Players will interpret it. "Godspell" comes to Vale, 1304 Morrissey in Bloomington, this Thursday and Friday, July 28 and 29, at 7:30 pm, and Saturday, July 30, at 2:30 pm. Interested? You'll find more information here. You can also contact connie@valecc.org or call the church office at 662-8508. Tickets are $5 and available for purchase at the ticket office at Vale Community Church during regular church office hours or 45 minutes before the performance. *Yes, that's what we called it in the 70s, without any pejorative connotations. It referred to a sort of counter-culture Christianity with an overwhelming belief in positivity, inclusion, love, peace and social change.